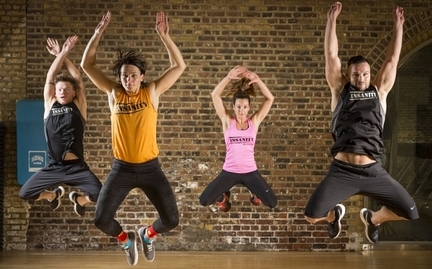 Dig Deep in a live INSANITY Class! Whether you're already in insane shape... or just getting started Insanity can help you burn up to 1,000 calories an hour and get you into the shape you want. INSANITY is a revolutionary cardio-based total body conditioning program based on the principles of MAX Interval Training. By using MAX interval training, INSANITY pushes the participant to new training heights, resulting in more calories burned, faster results, and a more efficient metabolism. 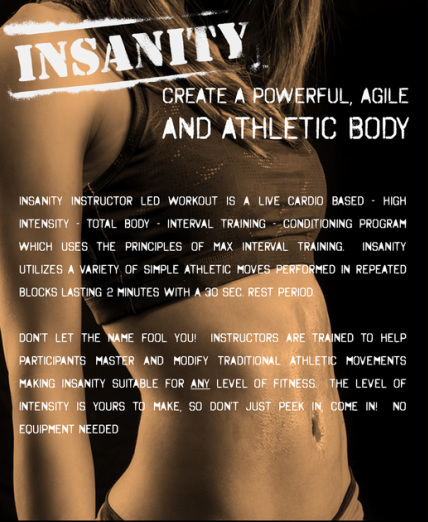 I want to invite you to check out Insanity! Contact me and find out how I can bring an Insanity to you! POST YOUR COMMENTS ABOUT INSANITY LIVE!